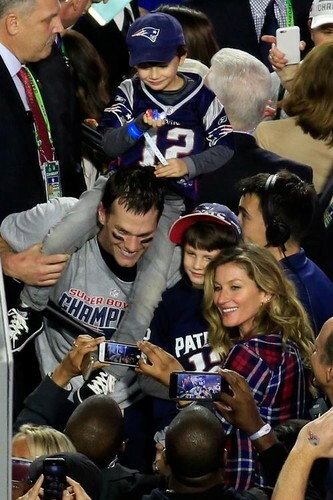 SuperBowl 49 MVP Tom Brady,with wife Gisele and his 2 sons John(on his shoulders) and Benjamin. . HD Wallpaper and background images in the NFL club tagged: photo rkebfan4ever tom brady superbowl 49.